Justia Lawyer Directory Zneimer & Zneimer, P.C. About Zneimer & Zneimer, P.C. The attorneys at Zneimer & Zneimer, P.C. represent Chicago and greater Illinois clients injured in personal injury cases, such as serious automobile accidents, truck accidents, wrongful death, and premises liability. Zneimer & Zneimer, P.C. prides themselves on their forward thinking approach working each personal injury litigation efficiently to their clients advantage. The firm has recovered millions in damages for personal injury clients. Zneimer & Zneimer, P.C. also represents immigration clients in a wide range of matters, including immigrant and nonimmigrant visas, removal proceedings, and appeals of immigration status denials. They represent both individuals seeking citizenship or visas for close family members and business owners seeking visas or residence permits for critical employees. The firm's staff speaks Spanish, Russian, Bulgarian, and Turkish to serve a wide variety of immigration needs. Peter Zneimer has over 15 years of experience successfully litigating personal injury cases before both state and federal courts. 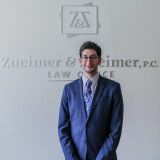 Attorney Zneimer has also been able to obtain settlements in favor of his clients through his extensive knowledge of investigative techniques and negotiating skills. 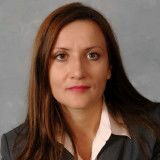 Sofia Zneimer is a published and experienced lawyer in immigration law. She specializes in business immigration and has represented clients ranging from multi-national corporations to individual investors before numerous government agencies, such as the Department of Homeland Security and the State Department. Before Ms. Zneimer joined the firm, she worked for a national law firm as an immigration attorney and also served the immigration needs of a Fortune 500 company for many years. Ms. Zneimer represents families and individuals seeking to bring or keep loved ones in the United States. Email Zneimer & Zneimer, P.C. Contact Zneimer & Zneimer, P.C.